Mark on a tree, rock, sign, etc. indicating the trail route. 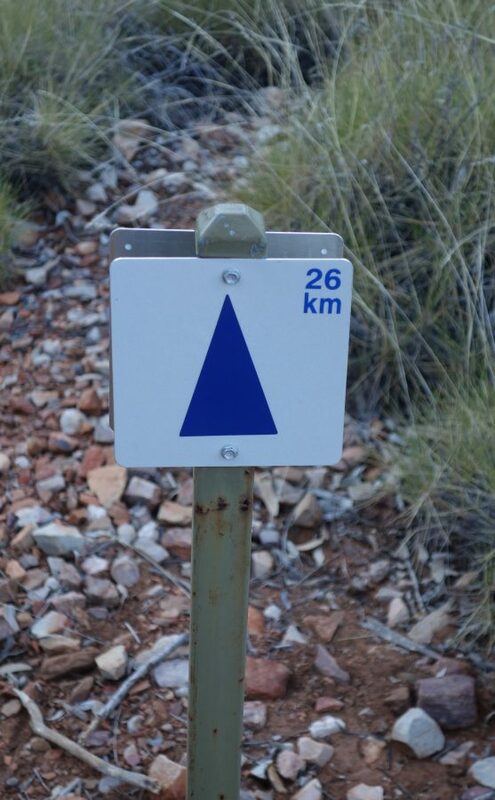 Also known as a trail marker.